I have long been looking forward to this day since I discovered that you can dogsled (or dry-sled on grass when there’s no snow) in Iceland. First of all, I was surprised that dogsledding is NOT BIG in Iceland. At all. It is not part of the Icelandic culture. It is more Greenlandic. As a matter of fact, the dogs here are Greenland huskies! But I don’t know if I would ever have the opportunity to go to Greenland. So I seized the moment on this Iceland trip. 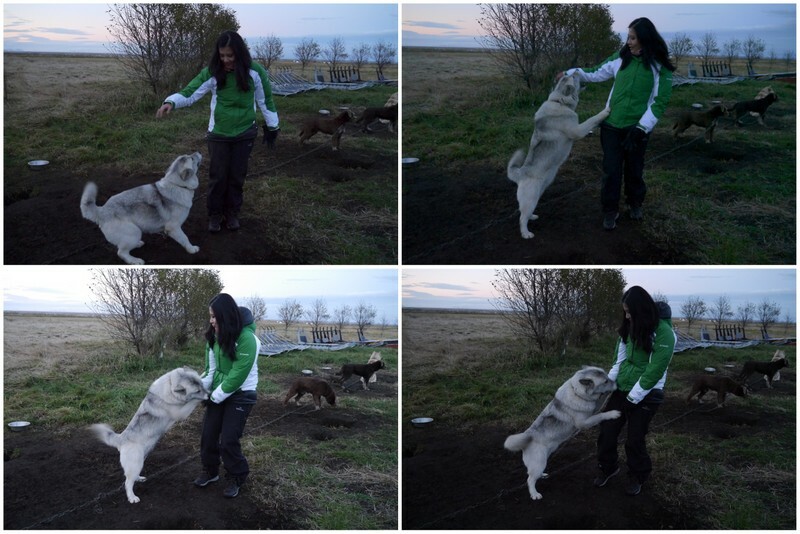 I was so happy when I found Dogsledding Iceland. 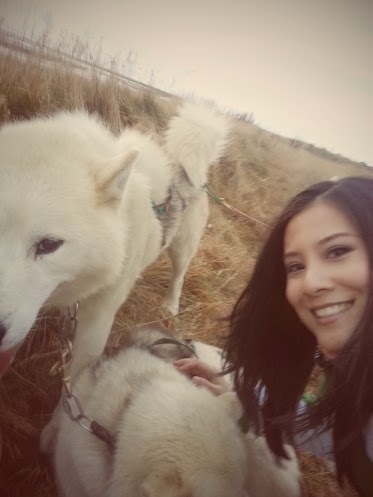 I mean, I can’t even explain to you how excited I was (but you can probably see it in my grin) to be with these dogs. You see, there are people who love dogs. I’ve been toppled over, bitten by a rabid one, chased (not the play kind) by one– and all this hasn’t really fazed me. I specifically love big, tough dogs you can rough play with (I cannot ever be the owner of a chihuahua or any of those “cute, tiny teensy” dogs) and tumble around. These Greenlandic dogs were the perfect companion for the afternoon. 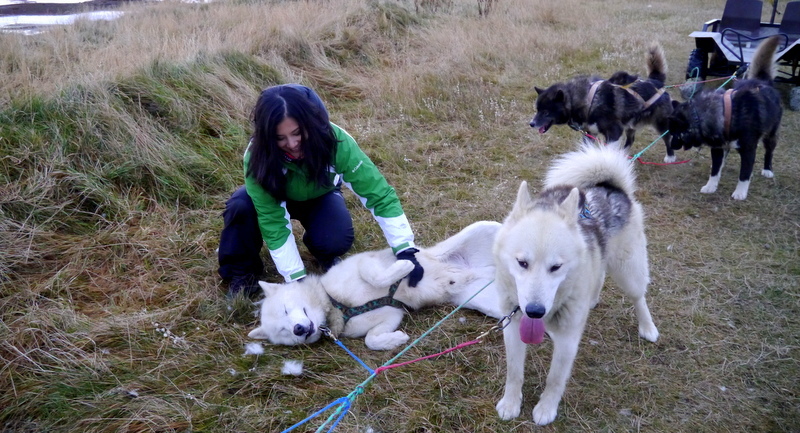 The dogsled activity is located in Holmasel in the South Coast (close to Selfoss). 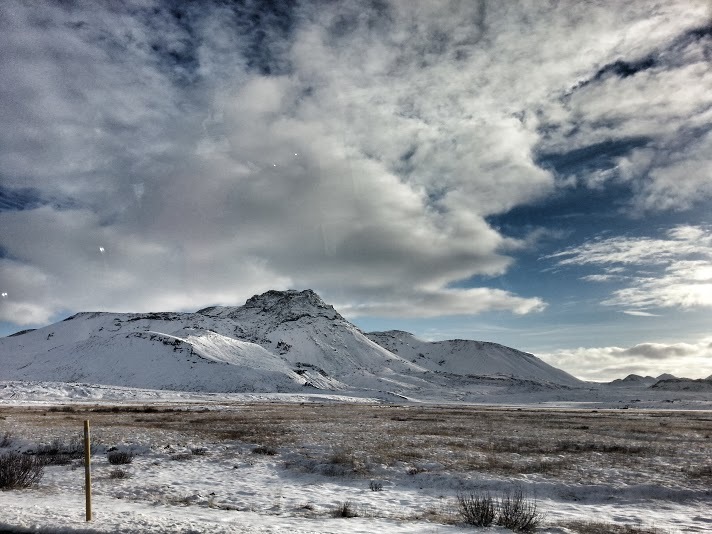 It is 70 minutes from Reykjavik. 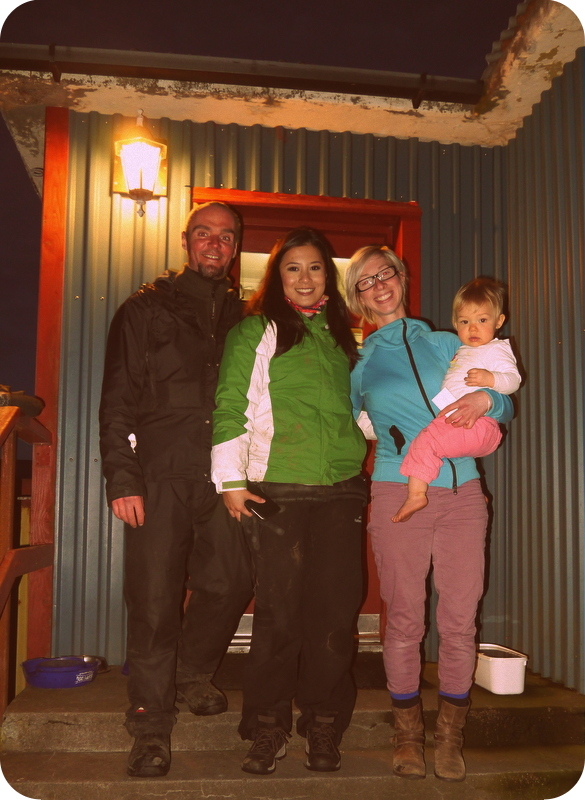 We were picked up by their partner company, Eskimos Iceland, from our hotel in Reykjavik. If you hired a car for your stay in Iceland, there are driving directions on their website. We had the most entertaining and knowledgeable driver/guide and I was just torn. Whether to listen to his amusing Iceland facts, or to simply enjoy this unbelievable scenery. 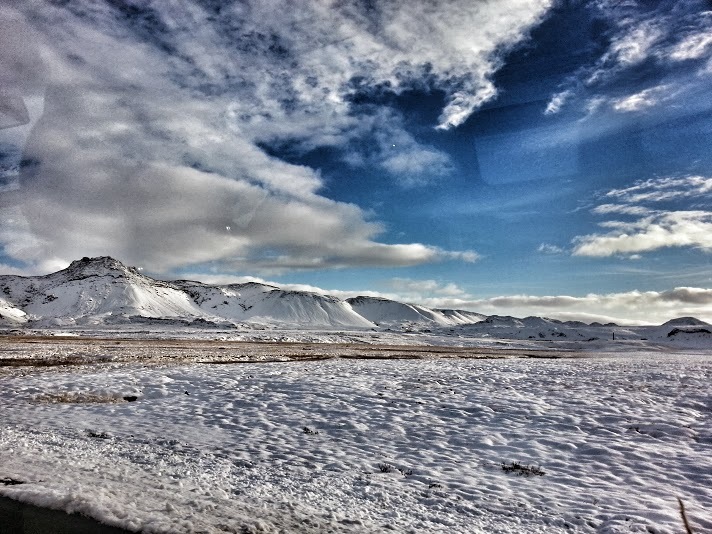 While we saw snow on the way there, it wasn’t really snowing in the whole of Iceland at that time. So we experienced sledding on grass. 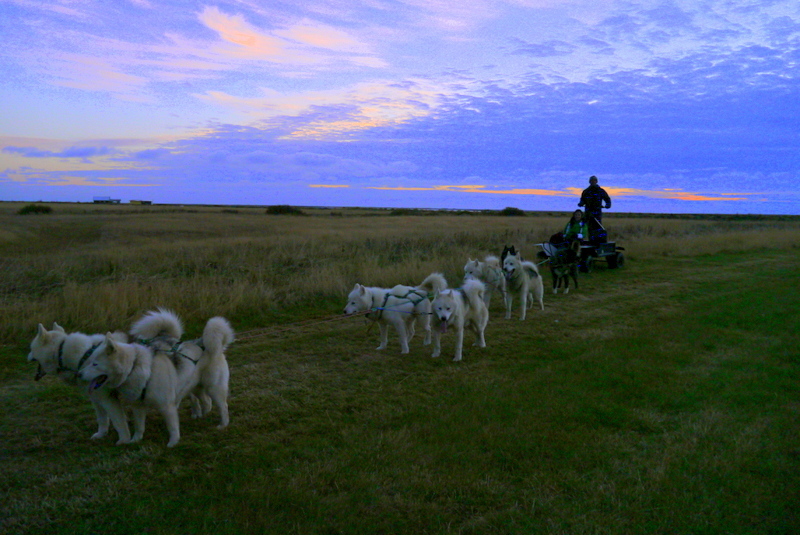 Dogsledding Iceland operates Year-Round tours, be it on snow or grass. And boy do they also LOVE TO RUN. And soon, the elite team of 8 dogs were chosen. 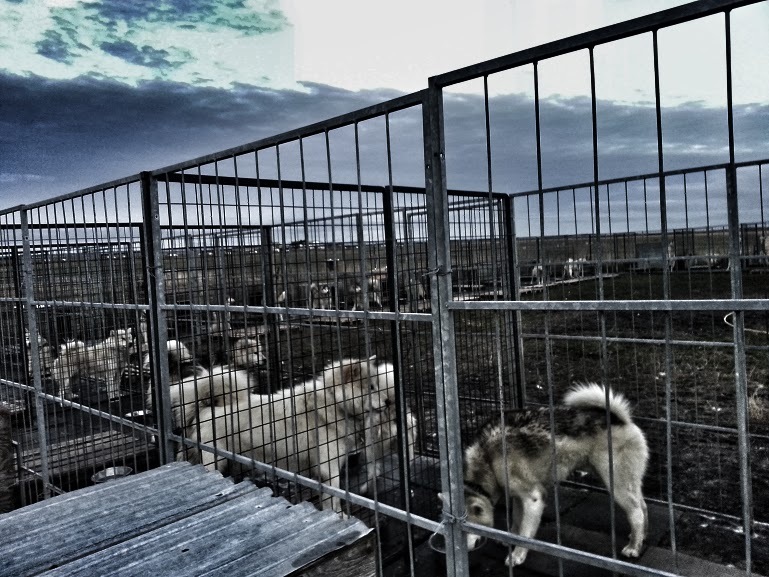 These Greenlandic dogs can (if need be) run up to 8 hours non-stop. What can we, humans do non-stop in 8 hours? SLEEP. Now you might have recognised a few of them, because these dogs are multi-talented. When they are not out pulling people on tours, they are busy being filmed. Most of them were in David Guetta’s She Wolf (Falling to Pieces) music video! Alright, I think our four-legged friends have had enough air(or web) time. More remarkable are the people who run the show. Meet Siggi, the operator and owner of Dogsledding Iceland. A former policeman in Reykjavik, Siggi found his passion when he overtook the business in 2007. He started with 16 dogs, and has grown it into the current happy family of 47 (and counting) dogs! 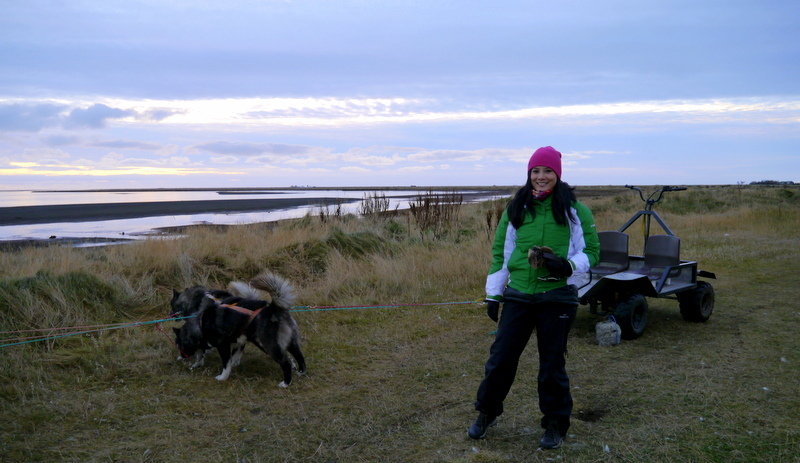 Klara is Siggi’s wife and is the voice and operations behind Dogsledding Iceland. I had such a pleasant time liaising with her even before arriving in Iceland, so I was very thrilled to see her in person, and even more delighted to see their little bub, Marilou. 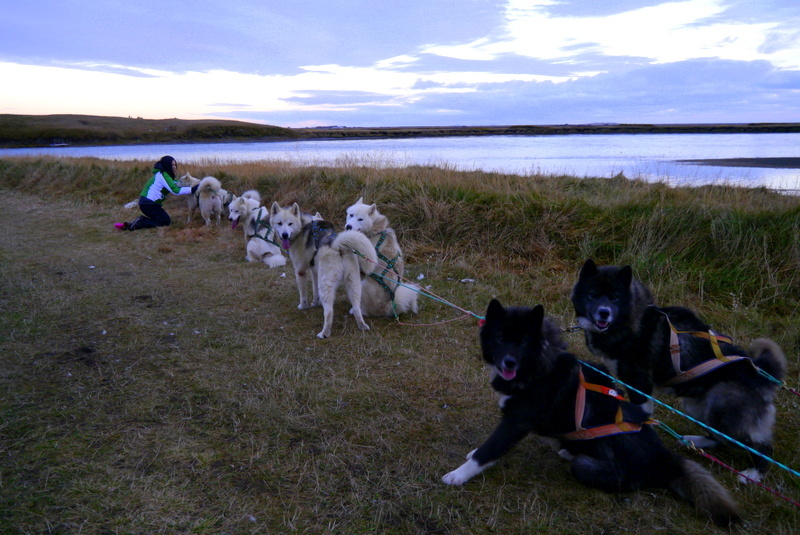 Dogsledding Iceland gave us a complimentary Wonderful Sunset tour. But seriously, I will pay happily just to experience this marvelous afternoon all over again.